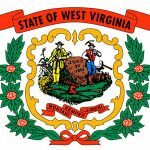 West Virginia’s 2019 legislative session began this week and with it came the introduction of House Bill 2178, a new online poker and gambling bill. This marks the third consecutive year that West Virginia lawmakers will consider online gambling regulation. Although the measure looks very similar to the proposals put forth in 2017 and 2018, there is one different element involved in this year’s bill: sports betting is already up and running in the Mountain State. There are plenty of gambling industry veterans who are of the mind that the repeal on the ban on sports betting that was handed down by the US Supreme Court last May will eventually lead to states that offer sports betting to also go all-in on online poker and gambling as well. With West Virginia one of the first states spurred into action following the sports wagering ruling, it may be that i-gaming legislation won’t be far behind. The bill is sponsored by Delegates Shawn Fluharty and Joseph Canestraro, who are both aligned with the Democratic party. Should the proposal become law, it would fall under the authority of the West Virginia Lottery Commission. Details of the measure include a $50,000 license fee, which is rather inexpensive compared to license fees that have been tossed around by other states. Licensees would pay an internet gaming tax of 14%. Those are the same tax rate and fees proposed in two previous i-gaming bills in the Mountain State, although neither gained any momentum. 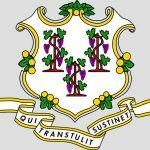 License eligibility would be restricted to the handful of land-based casinos operating within the state. Those casinos are: The Casino Club at the Greenbrier; Hollywood Casino at Charles Town Races; Mardi Gras Casino and Resort; Mountaineer Casino, Racetrack and Resort; and Wheeling Island Hotel Casino Racetrack. The application process would begin 90 days after passage of legislation. With regard to online poker, HB 2178 includes a provision that would permit West Virginia to join forces with other states to increase liquidity. Nevada, Delaware and New Jersey are currently pooling players under a multi-state agreement. Pennsylvania, the only other regulated state at the moment, has yet to roll out their online poker and gambling offerings to their residents. Also specific to poker, the bill outlaws the use of robotic players or “bots” as they are typically called. Artificial intelligence continues to advance as time marches on, so a provision that requires all players to be of the human variety certainly is forward-thinking. The measure is void of any “bad actor” language, but does include wording to the effect that no branding of third parties would be permitted. In other words, the licensed casinos must market games offered under their own brands that are already familiar to West Virginia residents. The legislative session in West Virginia runs through March 9. The two online gambling bills proposed in prior years never made it out of committee. Let’s see if 2019 will be different.